The DJ7 is a relatively new band co-led by drummer RJ Spangler & bassist John Barron that performs the music of Duke Ellington as well as original compositions by Mr Barron. DJ7 features Michael Zaporski on piano, James O’Donnell on trumpet & vocals, Tbone Paxton on trombone & vocals, Goode Wyche III on baritone and alto saxes and Jim Holden on tenor and alto saxes. Sometimes referred to on recordings as “Duke’s Men,” big band leader Duke Ellington also kept busy recording smaller groups culled from the ranks of his band. Ellington stalwarts like alto sax master Johnny Hodges, tenor sax titan Paul Gonsalves and trumpet virtuoso Clark Terry were often featured. Duke’s great collaborator Billy Strayhorn contributed compositions, arrangements and even played piano on some of these recordings. Duke used these groups to back guest stars like Coleman Hawkins, which resulted in a classic album released in 1963 on the Impulse! label. He also recorded for the Columbia, Legacy, Variety, Vocalion and Okeh labels with these smaller units. One of Detroit’s top bassists today, John Barron is also an active composer and educator. He has created original compositions to compliment these works the RJ has collected by the maestro himself, Duke Ellington. 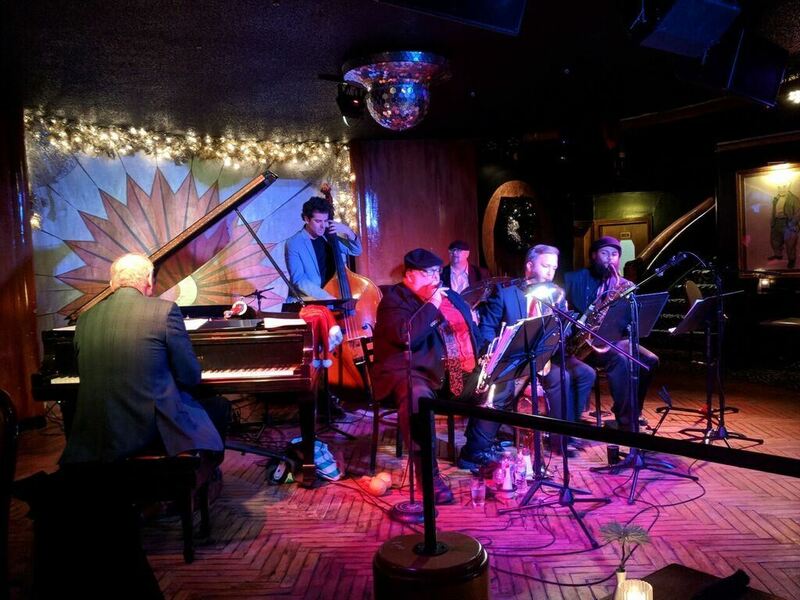 Musicians Zaporski, O’Donnell, Wyche, Paxton and Holden, are all regulars in RJ’s more high-profile project, the Planet D Nonet, with O’Donnell being co-leader. Detroit drummer, producer, bandleader, manager, and label owner RJ Spangler is a journeyman musician who has done much to resurrect the careers of some forgotten blues artists. A versatile performer, Spangler has performed with such luminaries as Johnnie Bassett, James Carter, Big Jay McNeely, and many others. Introduced to jazz and blues by his uncle, drummer Bud Spangler, who played with Detroit jazz legends the Tribe, RJ grew up listening to the greats of the music. By the early ’80s Spangler had co-founded a band called the Sun Messengers. That group later re-emerged as the Sun Sounds Orchestra on 1991’s the acclaimed recording “Open the Doors.” He and O’Donnell started the PD9 with Tbone Paxton in 1997 and have garnered six Detroit Music Awards in that time.